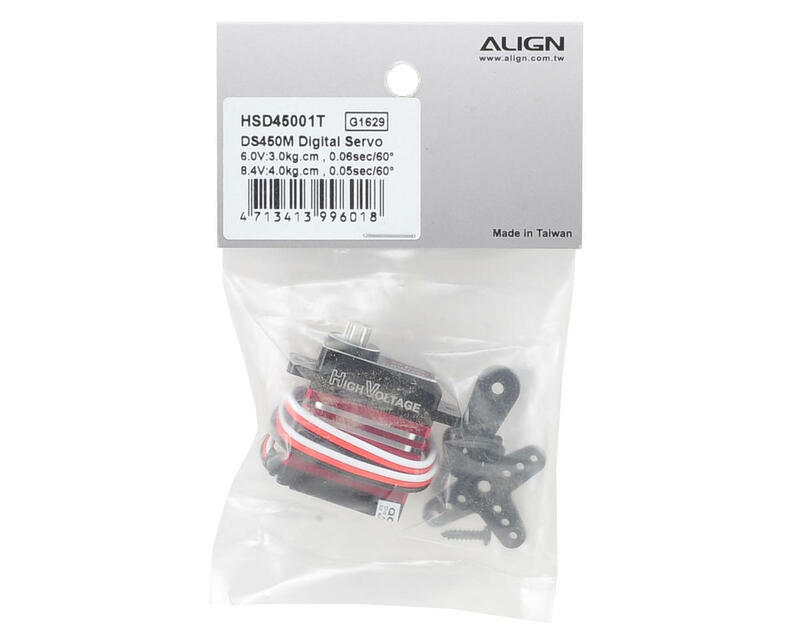 This is the Align DS450M Metal Gear Digital High Voltage Servo, suitable for cyclic use with the Align T-REX 250 and 450 helicopters. The DS450M features the same speed and torque specifications as the DS450. 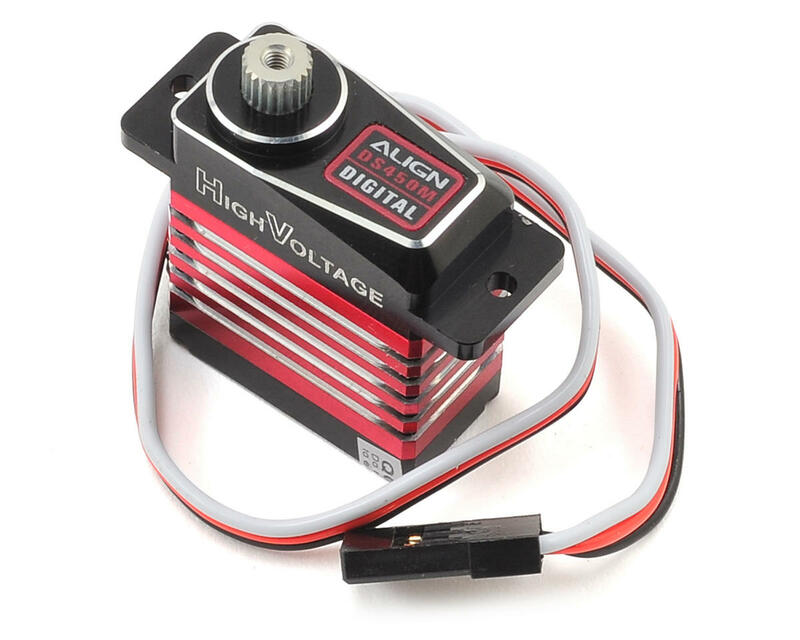 The main difference between the two servos is that this DS450M features a full CNC alloy case, and the DS450 only features a center aluminum case, with plastic upper and lower pieces. Because of this, the DS450 is slightly lighter. 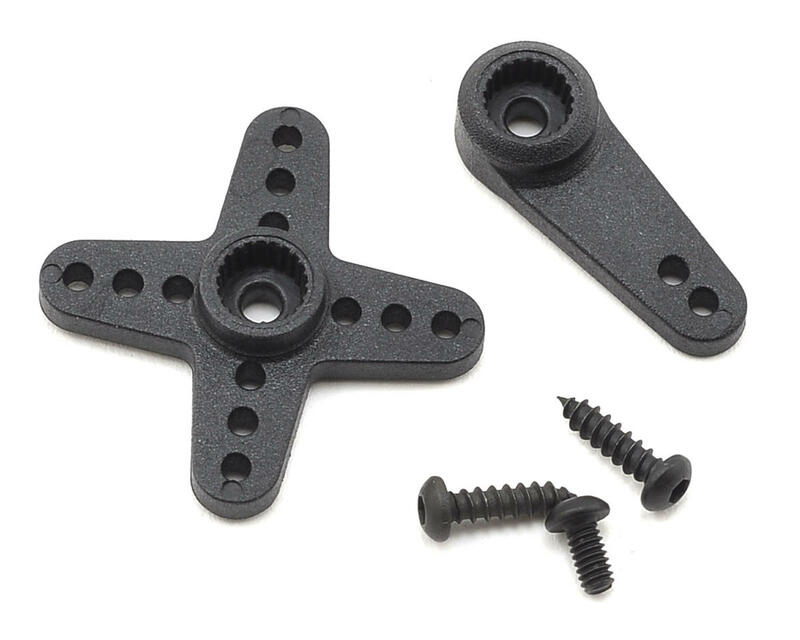 Aluminum alloy case construction for instantaneous heat dissipation, maintaining servo’s high efficiency.